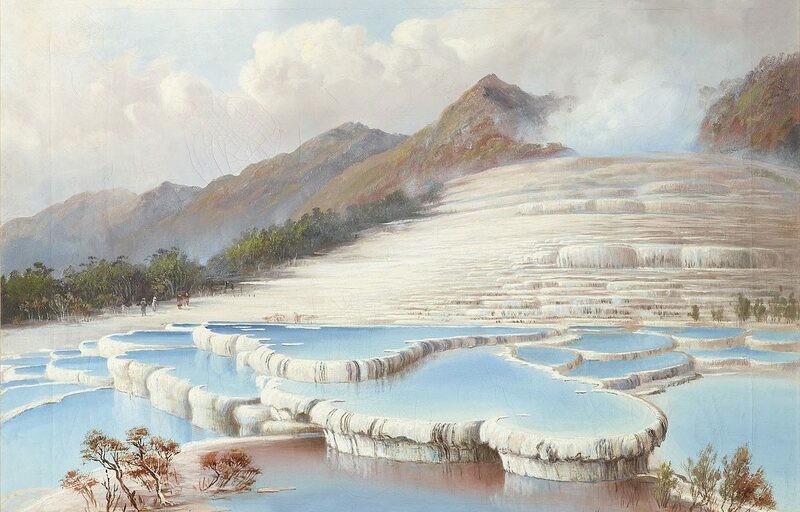 A series of scientific studies on Lake Rotomahana, in Aotearoa (NZ), since 2011, have found evidence of remains of the legendary Pink and White Terraces, a natural wonder which was well know by locals and visited by adventurers from all around the world until 1886. Poetically named Te Otukapuarangi in Māori, which means “The fountain of the clouded sky”, it was renowned worldwide. It consisted of a series of natural pools, stepping down from a hill. They were formed by geothermal hot springs flowing downhill, ending their course in lake Rotomahana below. This out of this world landscape, which was reported by several expeditions, was considered the 8th wonder of the world. It was described as a great pleasure to the eyes, as well as a lovely place to bath in hot spring water. Several early photographs, which weren’t able to reproduce accurately the colors at the time, as well as a few paintings, have immortalized the site, fortunately. The Pink and White Terraces disappeared suddenly, when, on the 10th June 1886, a cataclysmic event occurred in the region. Mount Tarawera, one of the active volcanoes nearby, erupted violently, destroying all surrounding panorama and killing more than a hundred people. 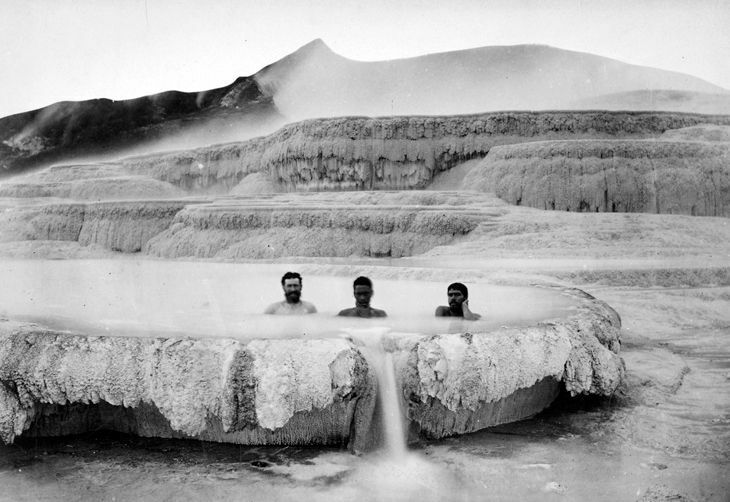 Unfortunately, most of them were probably caught in the disaster while enjoying a bath in this majestic landscape. From then on, it entered the legendary list of lost natural wonders and was believed to have been totally destroyed. The several science studies, whose first goal was to investigate lake Rotomahana, found several clues indicating that the terraces might have subsisted. Several years of further research finally pointed out that they must be located, according to Wikipedia, “10-to-15 meters underground along the shoreline, based on coordinates in an article published in the Journal of the Royal Society of New Zealand”. An excavation process should start soon to unearth this legendary site, if the permission is obtained from the local Tuhourangi tribal authority. Next Next post: In Tahiti, life’s really a beach!